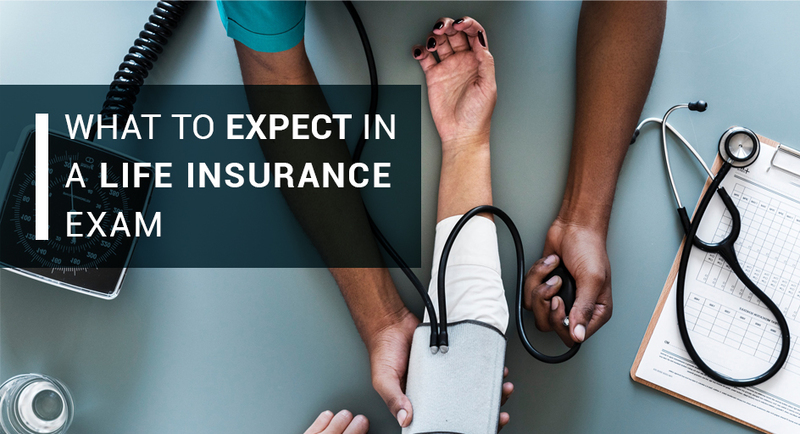 If you are reasonably healthy with no preexisting medical conditions, it is likely that your best bet for getting great life insurance at a low rate is to take a physical exam. This exam determines if you are prone to illnesses that would make you a higher risk to insure, such as diabetes, heart disease, cancer, stroke, etc. We’ve put together a list of things to expect from your exam so you can be better prepared to take it. The exam itself won’t be much different than a routine exam with your doctor. However, there is no set office location that insurance companies operate out of, and they know that scheduling an appointment can be difficult. Therefore, they will send out a paramedical technician either to your home or workplace, depending on your preference. You’ll want to schedule the exam early in the morning if you can, because fasting blood work will be required. The exam itself should only take about 30 minutes. To get the best results possible from your physical, drink plenty of water the day before and the morning of your exam. Also, skip your morning coffee – caffeine will elevate your blood pressure, which could mean a difference in your test results and cost of premium, even if you aren’t prone to blood pressure issues! Similarly, avoid alcohol, nicotine, excessive salt, and fatty foods a few days before your exam, as these substances can negatively affect your blood work results. Make sure to study up on your medical history and be ready to list any medications you take, as well. The results from your paramedical exam will be given to the insurance company and taken into consideration along with your age, family medical history, and lifestyle. If all goes as it should, expect to hear back with your actual quote within a few weeks. If you’ve been keeping healthy and prepared for the exam properly, you should pass the exam and score a lower premium on your policy! If you’re concerned that the results of your exam are inaccurate, you can ask your carrier to schedule a second exam. This will not do away with the results of the first exam, but the two will be combined and your new premium will be based on the composite. Keep In Touch With Your Agent! If you have any questions at all before or after your paramedical exam, don’t hesitate to give your independent agent a call. Not only are they experts in the insurance field, but they can direct you to the right carriers for your case to help you get the best price on life insurance, no matter the state of your health.